2018-11-22 (D) X von Marwitz vs David Wallace Spanish Blue win This time I played the scenario as the Russian Defenders. Again, a blast to play with spectacular changes of fortune. A more thorough AAR can be found at Gamesquad forum. It came down to the last CC roll. 2018-11-02 (A) X von Marwitz vs Francois Boudrenghien Russian win Grenadier 2018. Played as the Spanish attackers. Two HIP squads and a 1-Sniper hitting the same hex with the sole leader and a FT one one flank slowed initial progress in the area for which I paid dearly in the end. More fun to play that it appears looking at the scenario card. Russians won because the Spanish ran out of time. 2018-07-10 (D) Jeff B vs Magnus Rimvall Russian win The Russians are clearly outmatched here, facing the crack Spanish Blue forces and sporting a 2 ELR. Expect many disrupted Russians. And, as we know, disrupted units do not prevent enemy entry. The opening turn did not go very well for the defenders, as one of their HIP MG traps malf'd their gun, while another squad with a FL mission was broken by the Spanish sniper. But the Russians still gave more than they took, helped out by a couple KIA results. By the end of Turn 2 however all HIP traps had been sprung. 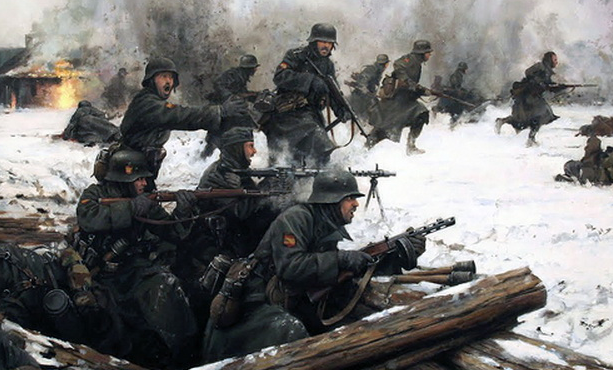 Thankfully the commissar was able to maintain order in the middle of the board, while a mass of conscripts kept the Spaniards at bay in the eastern woods. Turn 3 was a devastating one for the defenders however, as the eastern woods fell, the commissar strongpoint was busted to a man, and 4.5 squads were either captured or killed. Thankfully the western shield was holding, or it would have been absolute doom. Turn 4 saw the bleeding somewhat stemmed, but Turn 5 was another bloody turn for the Russians, losing another 5.5 squads, and things were once again looking forlorn for the defenders. A big commissar-led rally on Turn 6, along with a conscript turning berserk, and a leader manning the MMG, were just enough to stave off the Spanish hoard, who finally chose this moment to fail almost every MC thrown their way. 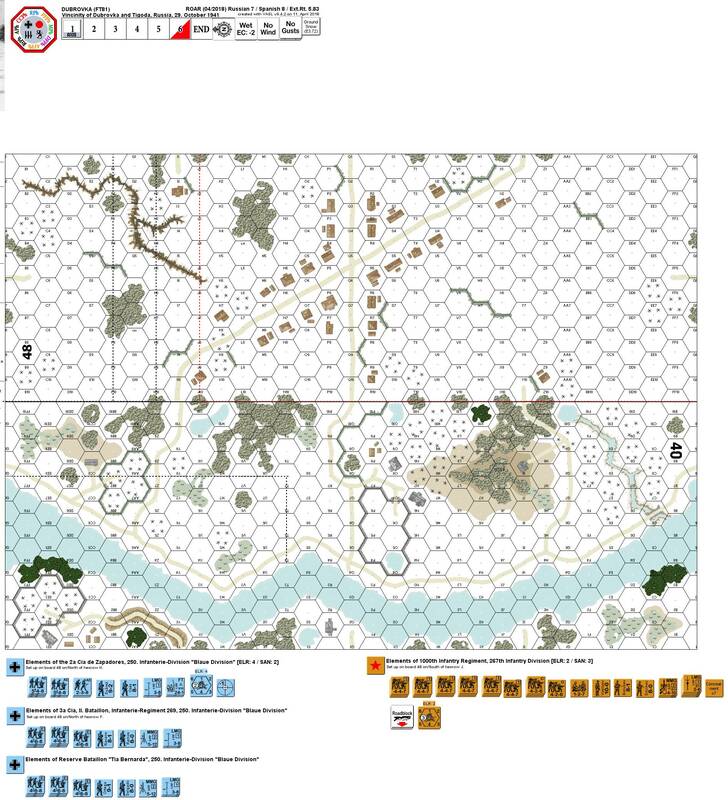 In the end the leader held on to the last outpost and preserved a Russian victory. Great game!